Stewart Garden Premium Gravel Tray 22cm - Black - provides an extra deep multi-purpose mini windowsill or greenhouse tray, suited for providing good drainage to small plants. Strong durable black injection moulded plastic which is strong and hard wearing, robust for outdoor or indoor use. Designed to retain gravel, the premium gravel tray will keep indoor plants in a moist environment without risk water-logging. 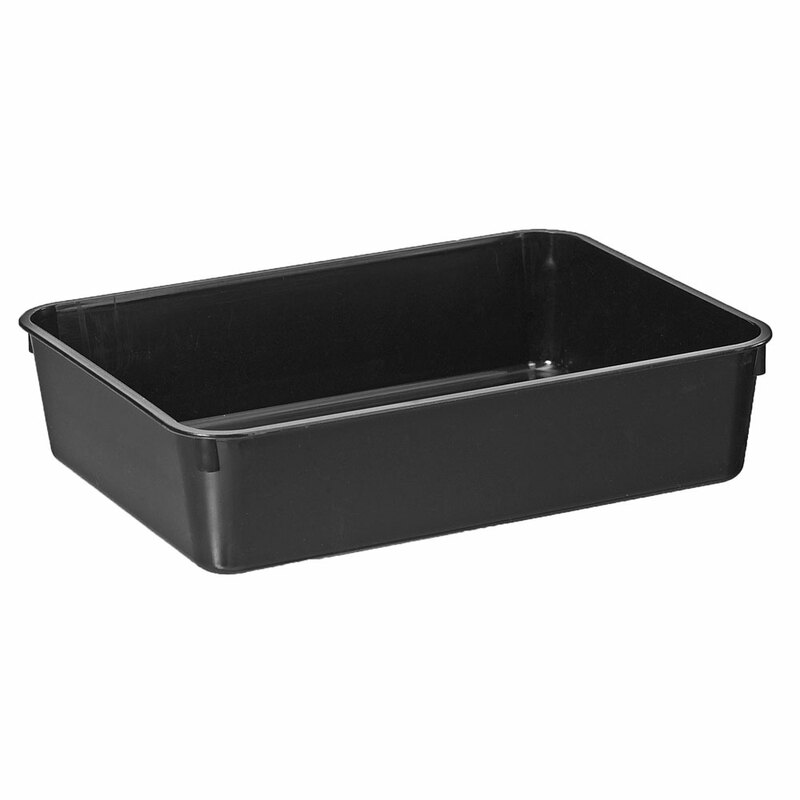 Tray retains water level of 5cm depth. Other Gravel Tray sizes and colours are available (separately). Stewart Garden has an enviable reputation as a proud-to-be UK manufacturer and leading brand in the Garden products market with expertise in high quality durable plastic containers. Within this market the Stewart Garden brand is widely recognised as representing high quality with a long-standing and well supported back-catalogue, ensuring availability. Stewart Garden durable plastic planters are popular throughout the home garden market and popular in schools garden clubs too. Stewart support the garden community at many levels with the knowledge that container planting is a vital avenue for the future popularity of gardening hobby, due to smaller gardens and higher rental property markets. 'Take the garden with you', is now a vitally important aspect to modern gardening and investment in Stewart Garden pots and containers, encourages gardening with any garden space available to you.